The clutch disc is basically a steel plate, covered with a frictional material that goes between the flywheel and the pressure plate. In the center of the disc is the hub, which is designed to fit over the spines of the input shaft of the transmission. When the clutch is engaged, the disc is "squeezed" between the flywheel and pressure plate, and power from the engine is transmitted by the disc's hub to the input shaft of the transmission. The clutch disc offered by our company is of high quality and lower price, long usage life with its ability to endure high speeds and its excell ent anti-abrasion properties. 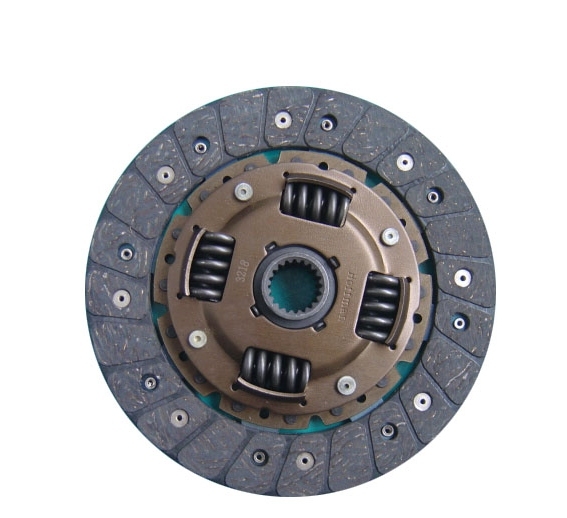 Various sizes of clutch discs are available according to your needs.